“Feel good Friday” was the official launch for the festival in Renfrewshire combining the work of many local artists and hosted by Clyde One DJ, Gina McKie on Friday Afternoon. The two hour event hosted poetry, dance, art, film, theatre and also awarded prizes to those involved in the local Photography competition. PASSIONATE artists from all across Renfrewshire performed at ‘Feel Good Friday’ officially opening the Scottish Mental Health Arts and Film Festival. To launch the event Clyde One DJ, Gina McKie, kicked things off at the Wynd Centre, Paisley. Several artistic groups and individuals were involved in showcasing their talents on the day and informing the packed out auditorium with what the area can expect until the end of the month. SMHAFF is one of the biggest social justice festivals globally and is now on it’s 9th year and Renfrewshire has proudly played a huge role for the past eight years. Gina said: “I think it’s fabulous how the event has kept on growing and it’s exciting to see more and more people at events. “For me, it’s important to support this festival because the more we talk about mental health, that stigma gets removed and we can speak openly and honestly about mental health and that’s so important. The DJ and confidence coach has been supporting the festival in Renfrewshire for a few years and recognises its importance. Gina continued: “So many get involved through arts, film, entertainment and express their views in different ways. Performance poet, Jenny Lindsay, set the stage alight with her gripping poem ‘Today’ exploring the medical notion of rating wellness on any given day on a scale from one to ten. It flips boundaries and gets to the nitty gritty of extreme highs and lows and reflects on what we would consider an average day, a manageable day, a six. The audience was then captivated with a unique theatre performance called ‘Cirque de Passion,’ crafted by John Adam and the Changing Stages project. It reiterated key global messages surrounding challenging the stigma of mental ill health including: I am a person and not a mental health problem and one small positive thought can change your whole day. The theme of the festival this year is ‘passion’ and performer Stacey Campbell said: “I’ll tell you something and I’ll let you into a secret. “This person is not a stranger but someone I used to be. “Finally, my passion and the help of all my loved ones has finally set me free. 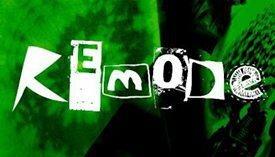 Film-maker Louise Baird then shared her film ‘Static’ exploring the individual blocks we hold on to that help shape our personality, a project that she collaborated with the Network Service in Paisley. 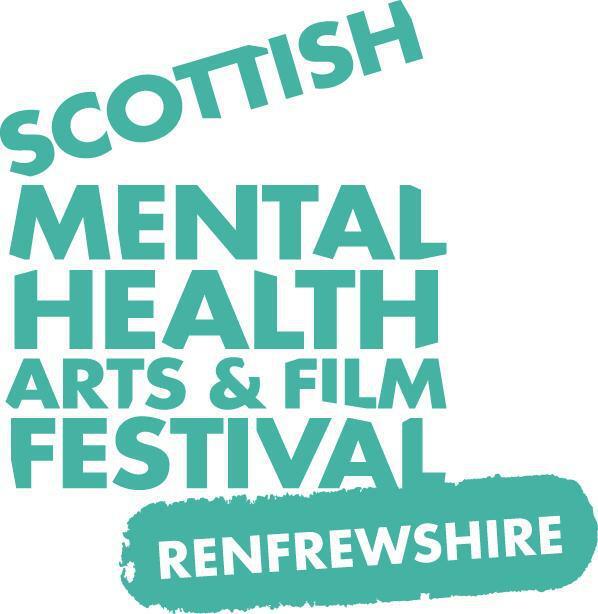 Both Andrew Eaton-Lewis and Richard Warden from the Mental Health Foundation explored what was happening nationally with the festival and shared personal insight into the extensive programme in Renfrewshire again this month. Dancer Clare Craig performed the Charleston in what a rousing performance and will be running a dance workshop as part of the programme. The single is available on iTunes for 79p with all funds going to charity ‘Young Minds’ in memory of their friend who took their own life last year. Within the auditorium there was silence as the crowd reacted and engaged with the emotional tune and they finished to rapturous applause. Paisley writing group also shared some of the work they’ve been doing with Ruth Adamson and Julie Hardie sharing personal poems on the day. The winners of the festival Photography competition were also announced. Third place was awarded to Paul Quinn and just behind him sharing his love of books was Tom Chalmers in second place. Scooping the top prize was John Gallacher with a unique depiction of people busking in Warsaw. All pictures can be viewed at the RAMH photography exhibition in the Paisley Centre throughout the festival. Jeanette Allan, lead coordinator of the Renfrewshire strand of the national festival said: ” For me and all those involved, we are very committed here in Renfrewshire about arts and recovery. “Recovery from mental ill health using the arts is important, that’s why the Network Service plays an enormous role in supporting drama, writing, music and arts. “It’s been great to be supported in the last year by Sarah Grant. As the opening event of the festival drew to a close it was another local group who had the last word. ‘Buddy Beat’ performed a rendition of African drumming music allowing for audience participation and an uplifting end to the show-stopping opener – the audience left feeling good on opening Friday.